Many wild mushrooms are utilised for both their medicinal properties and as food. In many of the world's tropical and temperate forests, they are the primary source of income for the people who live there. In south-west China, for example, over 200 species of wild fungi in 64 genera are commercially traded, while in Europe and North America, woodlands and small forests are the source of many highly-prized mushrooms and an essential resource for many small enterprises and collectors. Theincreased demand for timber has resulted in the rapid expansion of forestry however, which in turn has destroyed the natural habitat of many fungi, unbalancing both forest economics and ecology. Despite the economic, social and cultural values of fungi, there is a general lack of understanding of their importance to local livelihoods and forest ecology. This book aims to fill this gap and extends the People and Plants Conservation Series beyond the plant kingdom into the related world of fungi and mushrooms. 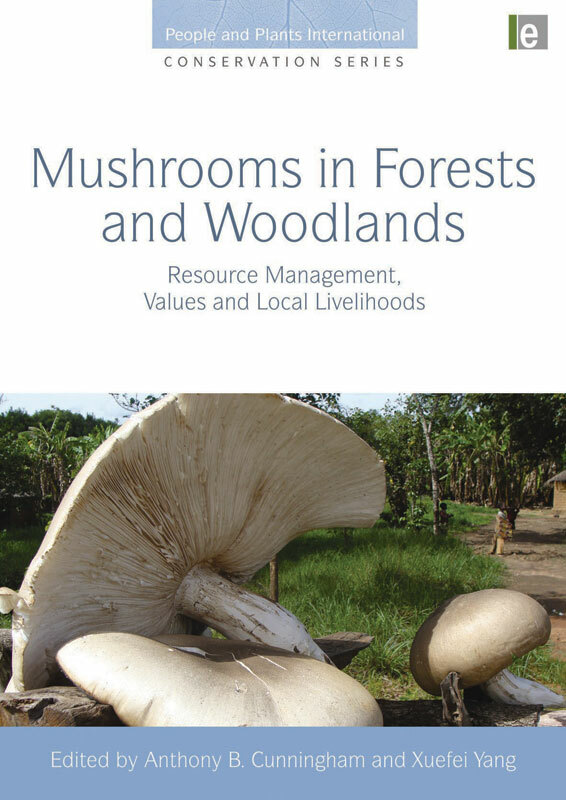 It demonstrates the crucial roles that fungi play in maintaining forest ecosystems and the livelihoods of rural people throughout the world while providing good practice guidelines for the sustainable management of this resource and an assessment of economic value. It brings together the perspectives of biologists, anthropologists and forest and woodland managers to provide a unique inter-disciplinary and international overview of the key issues.